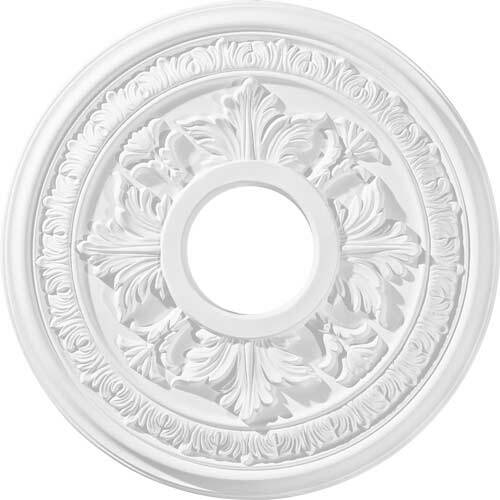 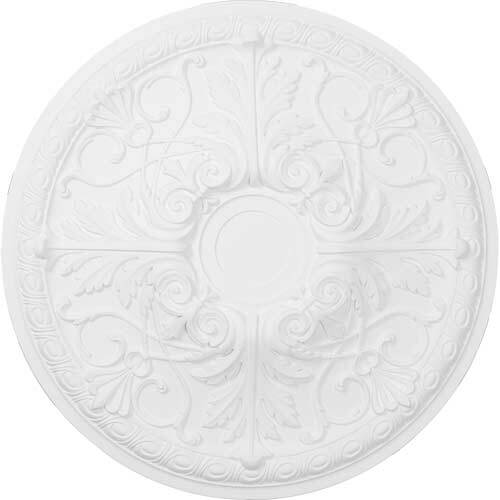 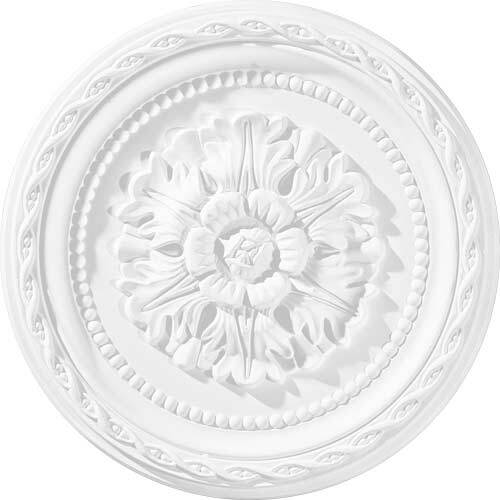 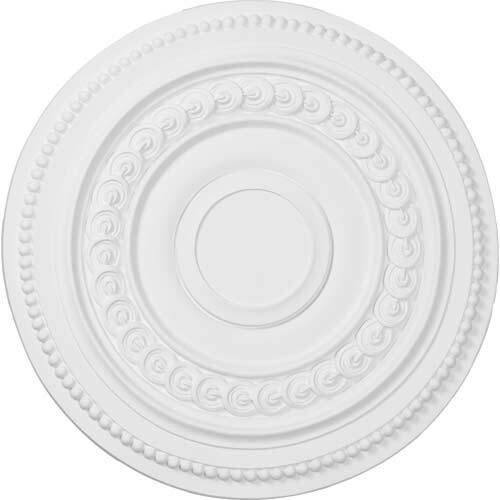 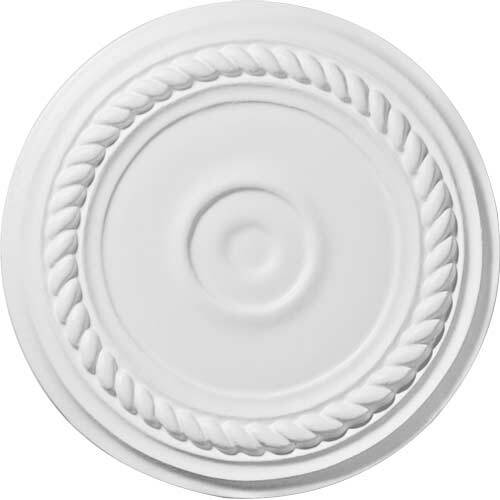 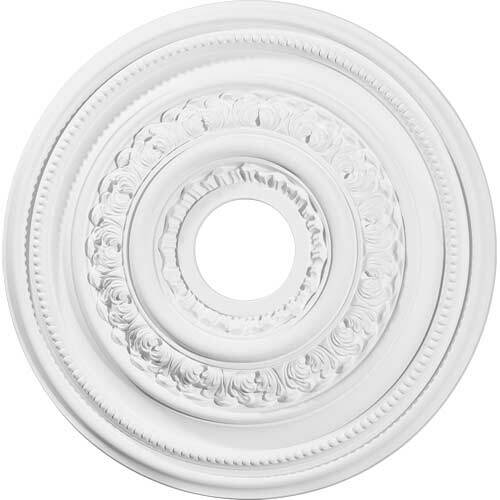 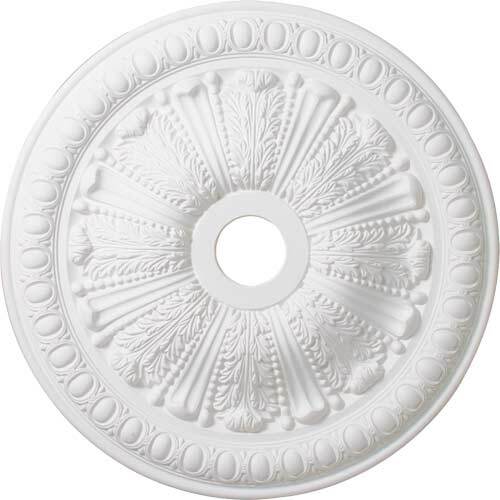 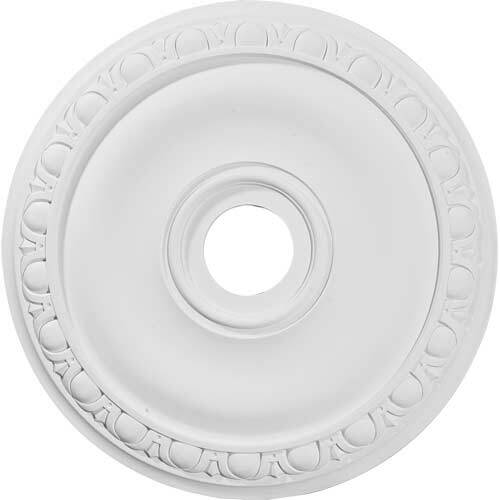 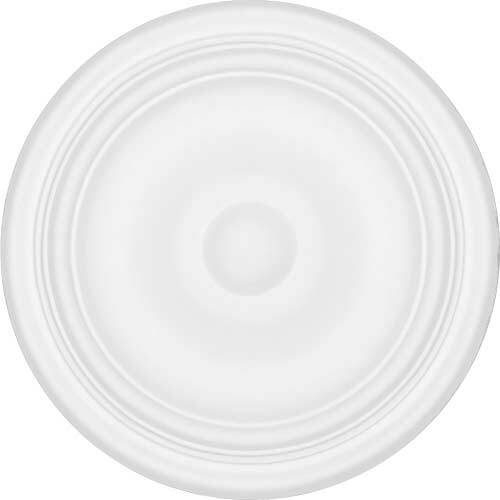 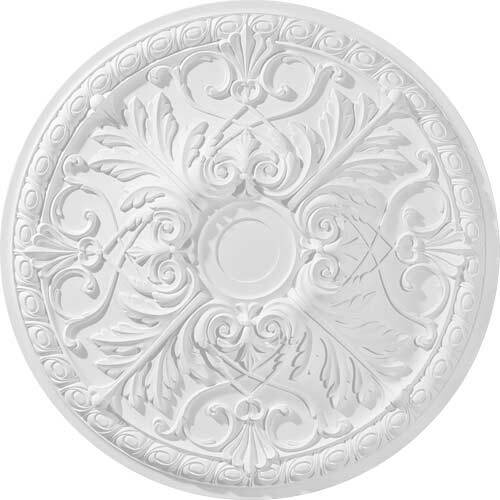 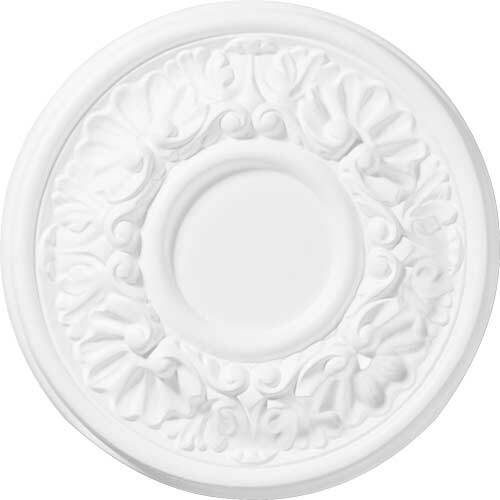 Our ceiling medallion collections are modeled after original historical patterns and designs. 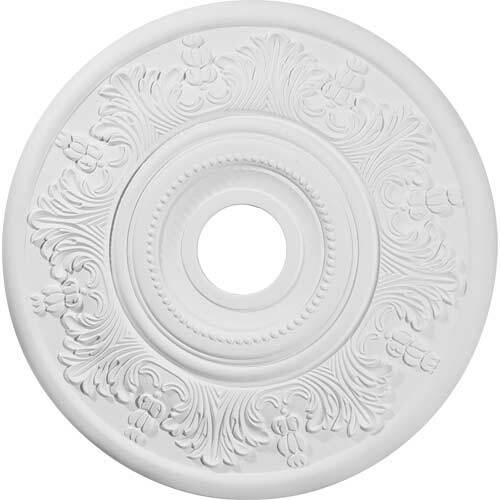 Our artisans then hand carve an original piece. 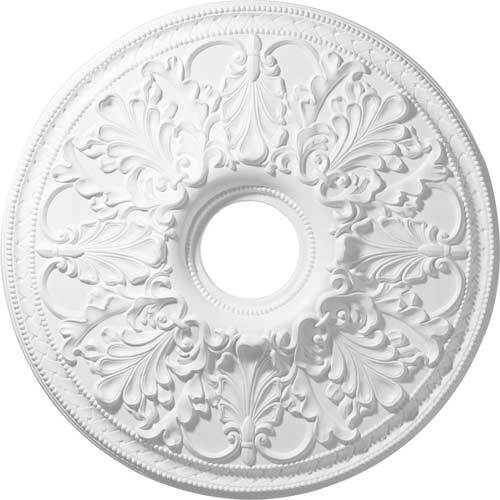 Being hand carved each piece is richly detailed with deep relief, sharp lines, and a truly unique touch. 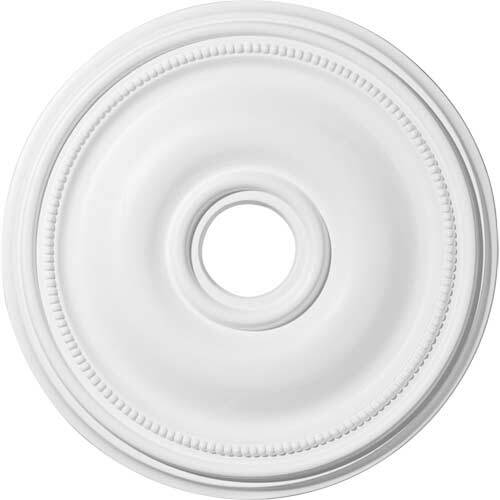 That master piece is then used to create a mould master. 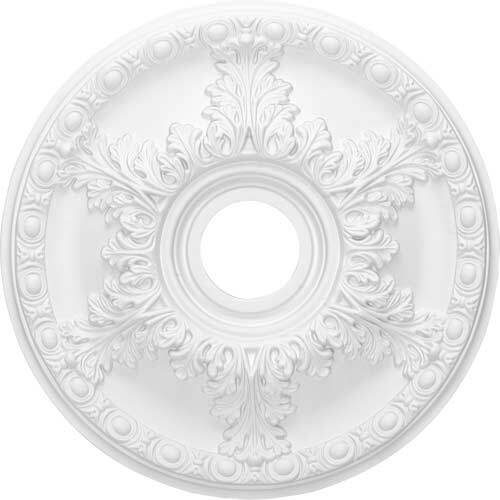 Once the mould master is created we use our high density urethane foam to form each medallion. 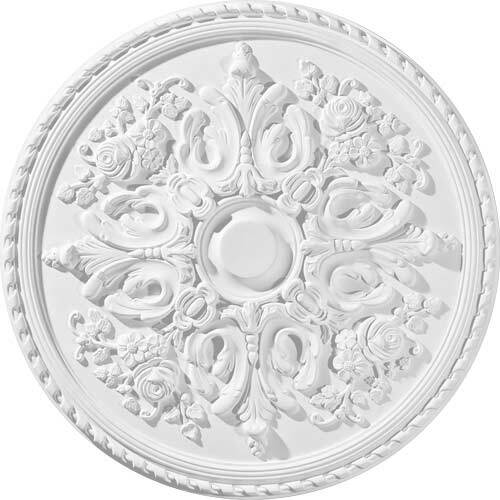 The finished look is a beautifully detailed, lightweight, solid construction, focal piece. 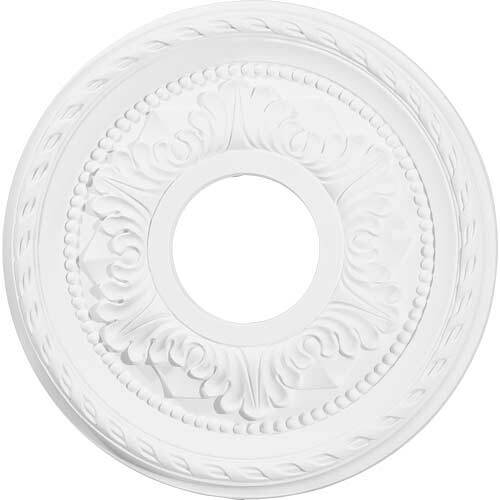 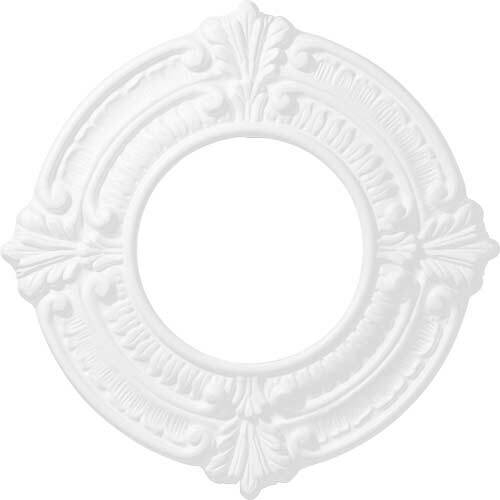 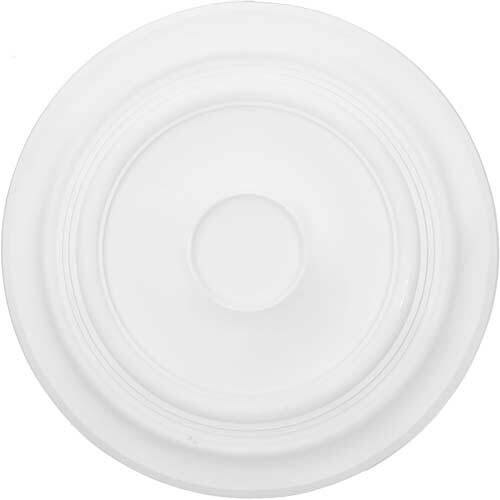 The resemblance to original plaster medallions is achieved only by using our high density urethane and not vacuum formed, “plastic” type medallions. 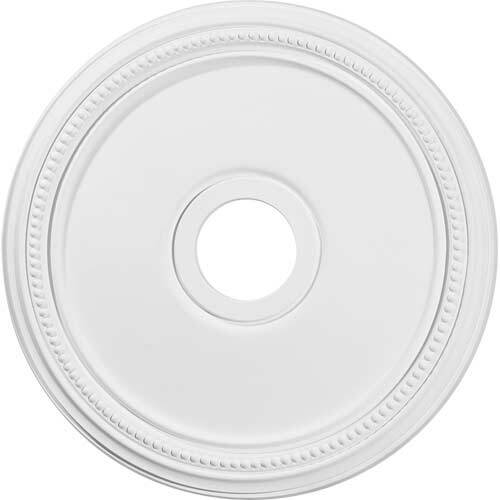 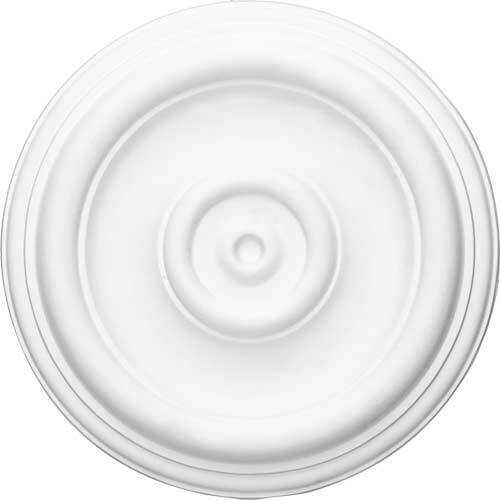 These can be cut using standard woodworking tools to add a hole for electrical or a ceiling fan canopy. These are lightweight for easy installation. 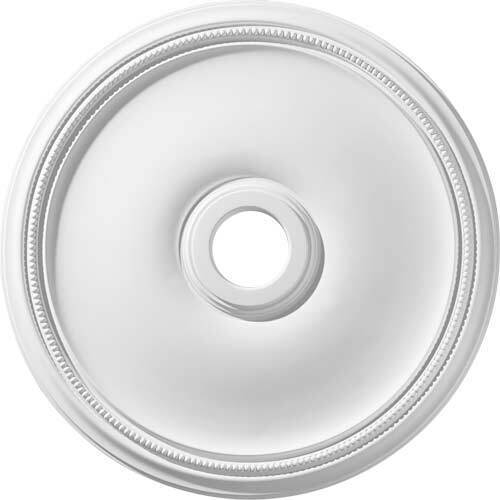 They are fully primed and ready for your paint. 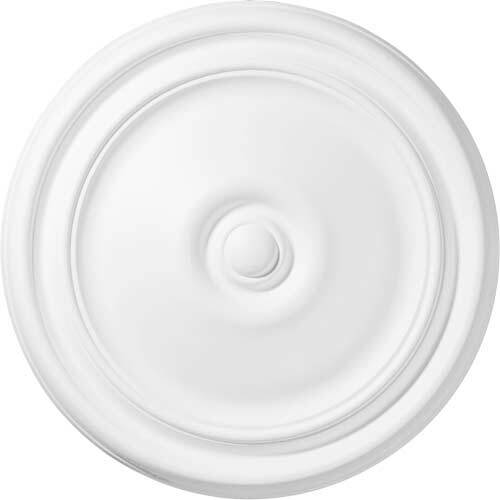 If you have any questions feel free to ask. 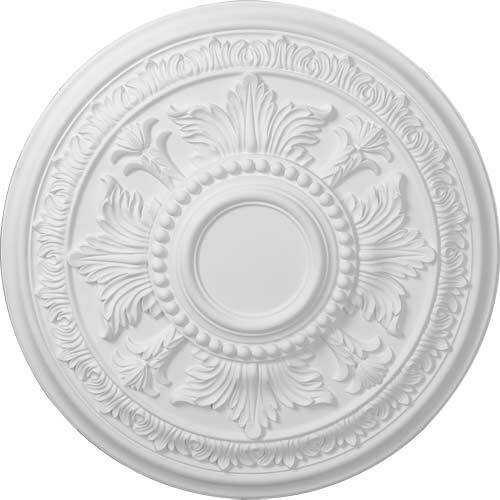 These are in stock and available for immediate shipment. 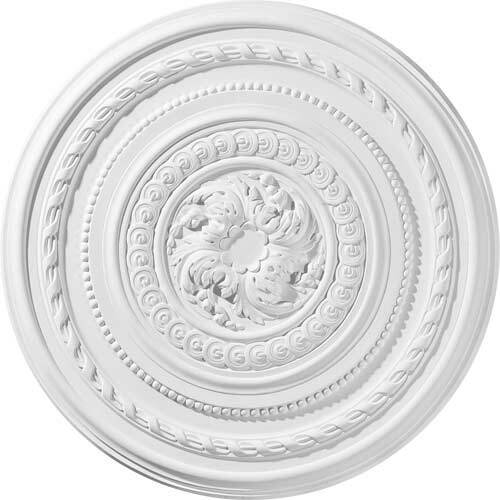 Ekena Millwork also offer a full range of details which we are authorized dealers. 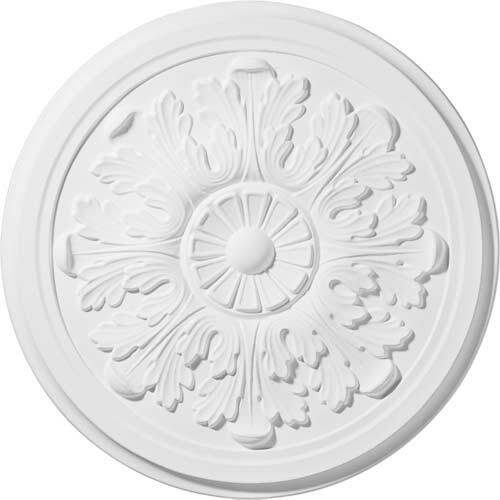 Check out the complete online catalog catalogue and contacts us for order details.